WINTOOLS Audi VW Skoda Timing Belt Change Wrench lever Pulley Holder by WINTOOLS at Lazaranda Dallas. MPN: WT04A4040. Hurry! Limited time offer. Offer valid only while supplies last. Car-Tools is a professional car repair tools seller that owns factories, laboratory and Technical staff. Any problem or need, Contact us! ASTA lever to install and remove pulleys on the camshaft, crankshaft vibration damper and injection pump. 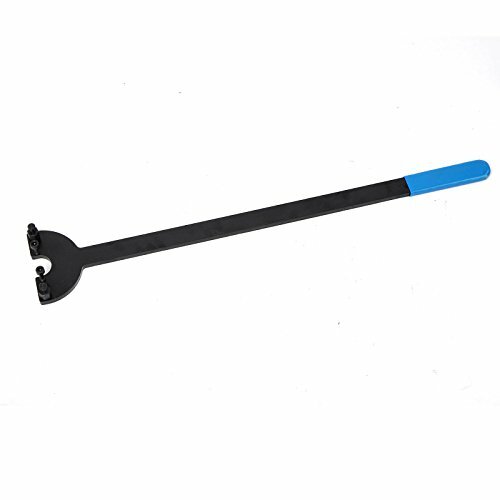 The lever is a must when you change the timing belt at VAG-Group engines 1.4, 1.6 and 2.0L like: Lupo, Polo, Jetta, New Beetle, Golf, Caddy, Bora, Touran, Sharan, Transporter, Audi A2, A3, A4, A6, TT, Skoda Fabia, Octavia and Superb. Engine Codes: ADX, AEA, AEE, AEH, AEX, AFH, AFK, AGP, AGR, AHW, AJM, AKL, ALN, AMF, ANA, ANY, APE, APF, ARM, ATJ, AUA, AWH etc..
SHIPPING-IT will be shipped within 24h, delivery in 7-12 days. Contact us if any problems.